Asbestos describes six naturally occurring fibrous materials found in rock formations. Of the general group, the minerals amosite, chrysotile, and crocidolite have been commonly used in building materials. These minerals are primarily found in Eastern Europe, South America, Africa, the United States, and Canada. Much of the naturally occurring asbestos is found in serpentine rock. Asbestos is naturally released from serpentine rock when it is broken or crushed. This can occur when cars drive over unpaved roads or driveways that are surfaced with serpentine rock, when land is graded for building purposes or at quarry operations. Asbestos can also be released into the air through natural weathering and erosion of the serpentine rock formations. Once released into the air, the asbestos particles can stay in the air for long periods. Asbestos has been mined for centuries. Mined and processed asbestos usually results in very thin and often invisible fibers. Early use of asbestos dates back to Greek and Roman times. In fact, the ancient Greek name for asbestos means "inextinguishable." It has been used because of its fire-resistant qualities and the flexibility it offers for use in woven cloth. 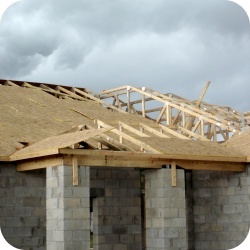 The fibers are also mixed with materials that bind them together for use in many types of building products. Because of the positive characteristics of the asbestos fibers, its use in manufacturing continued until late into the 20th century. The peak period of usage was during World War II and into the early 1970s. In the 1970s, knowledge regarding the harmful health affects of asbestos fibers reached the point where the scientific and legal communities began making the public aware of it. In response, the government began to regulate the use of asbestos. The Federal Clean Air Act of 1970 gave the Environmental Protection Agency (EPA) the authority to regulate materials containing more than 1% asbestos fibers. The federal Occupational Safety and Health Act of the early 1970s also regulated the use of materials containing asbestos in the workplace and in the construction trades. In 1989, the federal Environmental Protection Agency issued the Asbestos Ban and Phase Out Rule, which attempted to effectively ban the use of all asbestos containing products by the year 1997. Although the further use of asbestos in new products was banned, no current law requires the removal of asbestos already in place in buildings. The Asbestos Ban and Phase Out Rule was overturned by the 5th circuit Court of Appeals in 1991. The ban remains in place for adding asbestos to products that historically do not contain asbestos as well as in specific types of products (e.g., flooring felt, rollboard, commercial paper, specialty paper, and corrugated paper), but there isn't an overall federal government ban on all manufacturing, importing, processing, and distribution of products that contain asbestos. Asbestos is not banned in products such as car disk brake pads, roof coatings, vinyl floor tile, and even clothing. Because asbestos was relatively cheap, readily available, fire-resistant, and had high tensile strength, it was used extensively in hundreds of indoor and outdoor products found in residential structures. Outdoors, asbestos was used in roofing and siding materials, among other things. Indoors, it was used in floor and ceiling tiles, putties, caulks, paints, cements, plasters, and pipe insulation. Any residential structure built between 1920 and 1978 probably contains numerous products or materials containing asbestos fibers. Today, because of governmental regulation and the virtual ban on its usage, very few products contain asbestos. If they do contain asbestos that could be inhaled, strict labeling requirements must be followed. Asbestos, if undisturbed, is usually not considered a health risk since the fibers are not released into the air. Asbestos in any product or material can become a health hazard if the asbestos containing material is damaged, disturbed or deteriorated. Products containing asbestos that can be easily crumbled or pulverized by little pressure and become airborne are considered dangerous by their very nature. These are known as friable asbestos-containing products. Examples of friable asbestos-containing products are "popcorn type" ceiling materials, wallboard (drywall), and a variety of caulks, putties, and plasters. Non friable asbestos-containing products are considered less of a problem since they are not as easily damaged. These types of products generally have to be damaged by sanding, cutting, grinding or scraping. 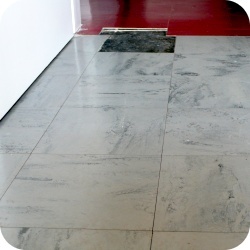 An example of a non friable asbestos-containing product is vinyl floor tiles. Products such as acoustical plaster or sprayed-on ceiling insulation can very easily become friable if even slightly disturbed. Other products such as vinyl asbestos floor tiles usually do not present any real hazard unless the tiles become disturbed during an attempt to remove them during a remodel. The asbestos in these products is not easily friable unless rubbing, grinding, sanding or cutting disturbs it. Whether the asbestos-containing products are easily friable or can become friable with more difficulty, the point to remember is that any level of asbestos in the atmosphere can be considered harmful.